Clipping Chix: Target: Water Babies Giggly Wiggly Doll only $15.39 with Cartwheel! 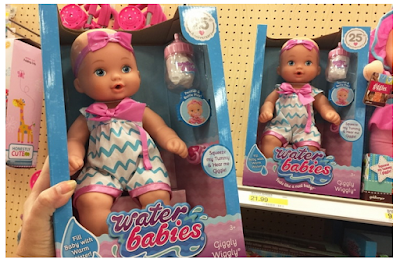 Target: Water Babies Giggly Wiggly Doll only $15.39 with Cartwheel! Save 30% on the Water Babies Giggly Wiggly Doll at Target with a new Cartwheel coupon! Target sells this doll for $21.99. Scan the Cartwheel at checkout to pay just $15.39. I can't read articles online all the time, however I'm happy I did today.